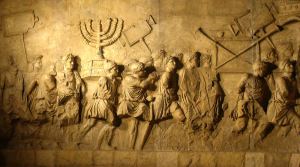 Jerusalem, Israel — July 11, 2016 … Is Jerusalem Jewish? That is the question the UN will be addressing tomorrow. 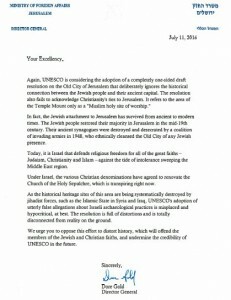 This morning the Israeli Foreign Ministry sent an open letter to members of the UN’s Educational, Scientific and Cultural Organization (UNESCO) ahead of tomorrow’s vote on a draft resolution that denies Jewish historical linkage to Jerusalem and the Temple Mount and calls for a return to the “historic status quo” at the site. The revised joint Palestinian-Jordanian draft resolution on “the Old City of Jerusalem and its walls” was submitted to the 21-member committee which convenes for its annual meeting in Istanbul, Turkey, on July 10 – July 20. Under arrangements agreed by Israel after it captured the area, non-Muslims are allowed to visit the site but not to pray. The Palestinians says Israel is seeking to change this, a charge the Jewish state adamantly denies. “UNESCO’s adoption of utterly false allegations about Israeli archaeological practices is misplaced and hypocritical, at best,” Gold said. 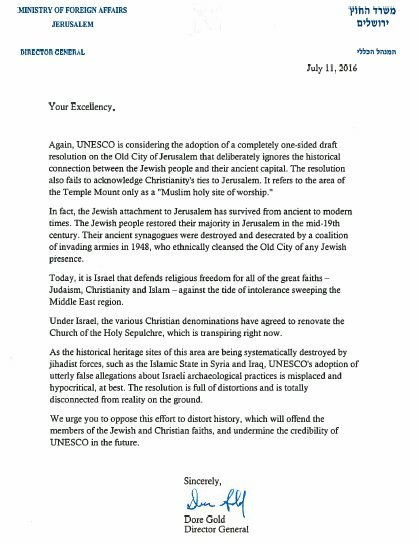 The letter was sent to 16 of the 21 members on the committee, including Turkey, urging them to “oppose this effort to distort history.” Representatives from countries typically hostile toward Israel — Tunisia, Indonesia, Lebanon, Kuwait and Cuba — did not receive a copy of the missive. The complex, which was the site of the two biblical temples, is considered to be Judaism’s holiest site. Muslims regard the compound — which today houses the Al-Aqsa and the Dome of the Rock mosques — as the third-holiest site in Islam. 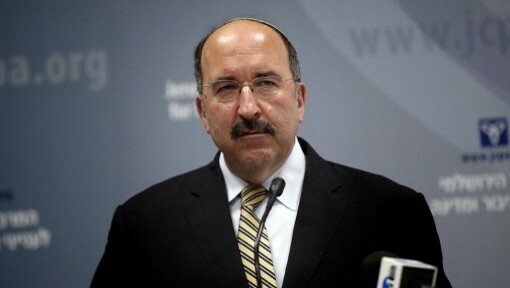 Foreign Ministry Director General Dore Gold. In the UN document, Israel is repeatedly referred to as the “occupying power” while being accused of causing damage to the site, conducting illegal excavations and preventing the Jordanian Waqf, which administers the site, from conducting repairs and renovations. The text also also refers to the Western Wall plaza in quotation marks, after using the Arabic term Al-Buraq Plaza without qualification. The World Heritage Committee will also issue a decision on whether to keep the Old City on its list of World Heritage sites in danger, which it has been on since 1982. The 21 members of the committee are Angola, Azerbaijan, Burkina Faso, Croatia, Cuba, Finland, Indonesia, Jamaica, Kazakhstan, Kuwait, Lebanon, Peru, Philippines, Poland, Portugal, Republic of Korea, Tunisia, Turkey, Tanzania, Vietnam and Zimbabwe. 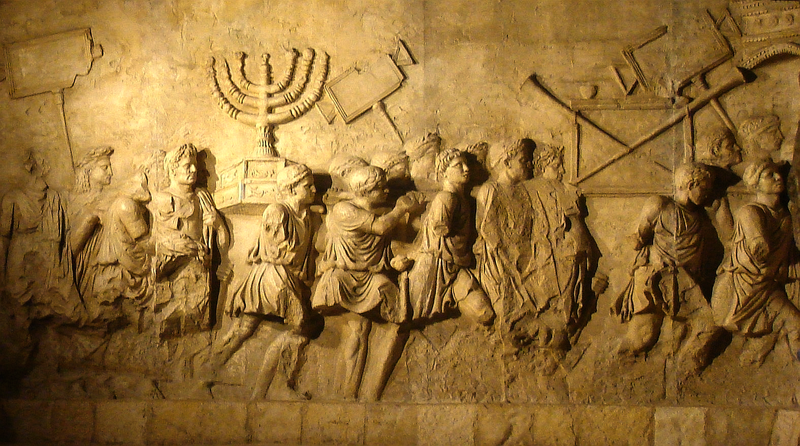 Following UNESCO’s resolution in April failing to acknowledge Israel’s historic and biblical relations to the Temple Mount, Prime Minister Benjamin Netanyahu invited all UN personnel working in the country to attend an open seminar on Jewish history at his office. 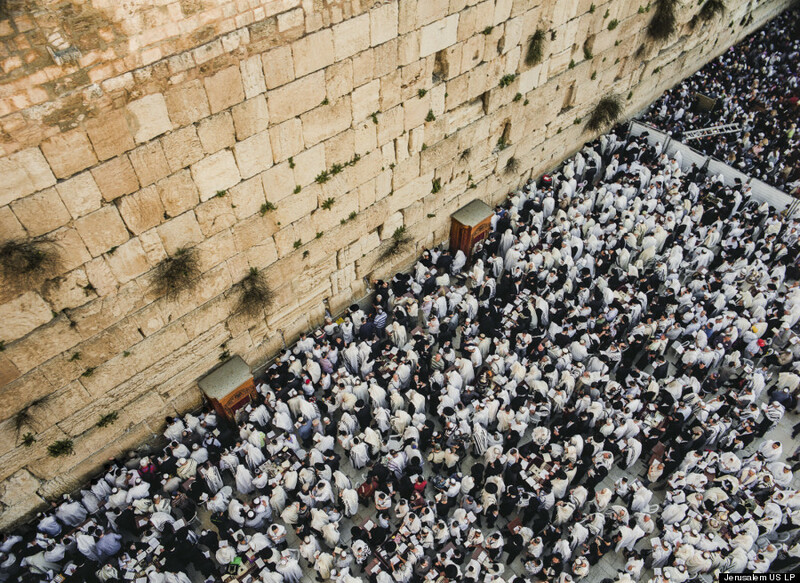 “Two weeks ago, I was shocked to hear that UNESCO adopted a decision denying any Jewish connection to the Temple Mount, our holiest site. It is hard to believe that anyone, let alone an organization tasked with preserving history, could deny this link which spans thousands of years,” said Netanyahu.